It’s Thanksgiving in the U.S. and it’s a time to celebrate with friends and family to give thanks for all we’ve been blessed with. It’s a time for good food, laughing, football, and relaxing. 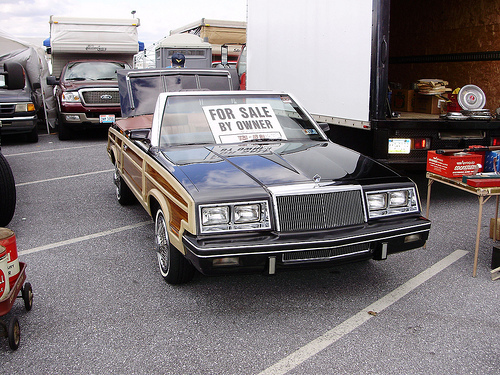 Don’t worry…this sweet K-car isn’t for sale here. Photo courtesy flikr.com. For those of you that will be traveling this year, here’s a clip of my favorite Thanksgiving movie that features a Mopar. Actually, it’s just my favorite Thanksgiving movie period…and it happens to have a Mopar. It’s not a Hemi Challenger or anything like that at all….it’s actually a K-car. Not exactly a muscle car, but funny is funny. Try not to repeat this one on the way to Grandmother’s house.